I purchased this little pen knife on eBay several years ago. Sadly, I have no idea how old it is. 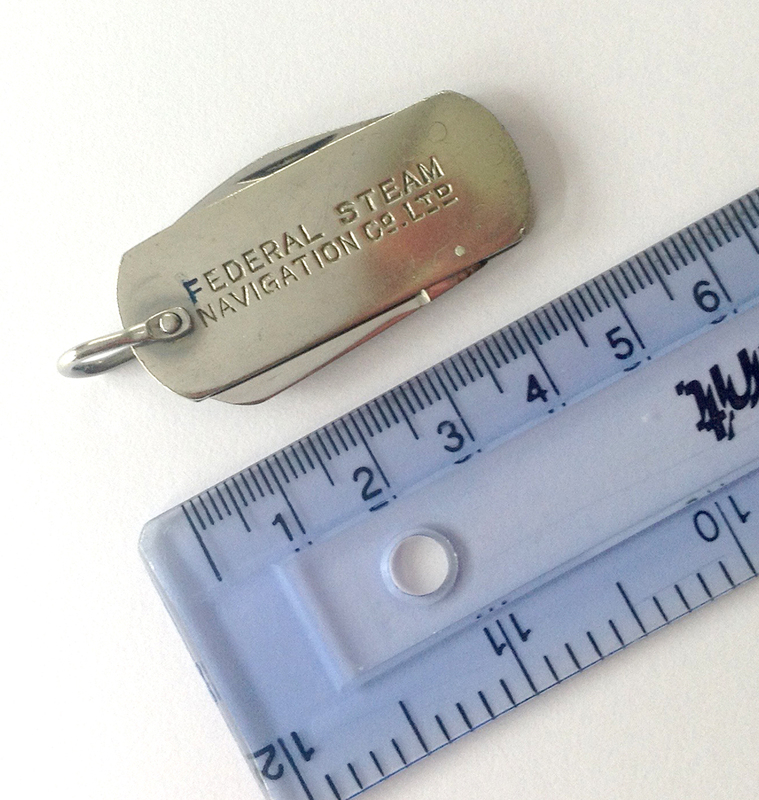 Interestingly, one side of the knife has “Federal Steam Navigation Co Ltd”, whilst the other has “New Zealand Shipping Co Ltd”. The website theshipslist.com states that the Federal Steam Navigation Company was formed in 1895, and that in 1912 it was taken over by the New Zealand Shipping Company but continued to trade as a separate concern. So the only thing I know for certain is that the pen knife was produced after 1912. It is still in excellent condition and quite sharp. Many interesting items were produced as souvenirs for passengers over the years. These were often sold by the ship’s hairdresser or barber along with postcards. I hope to show more items on this blog soon. 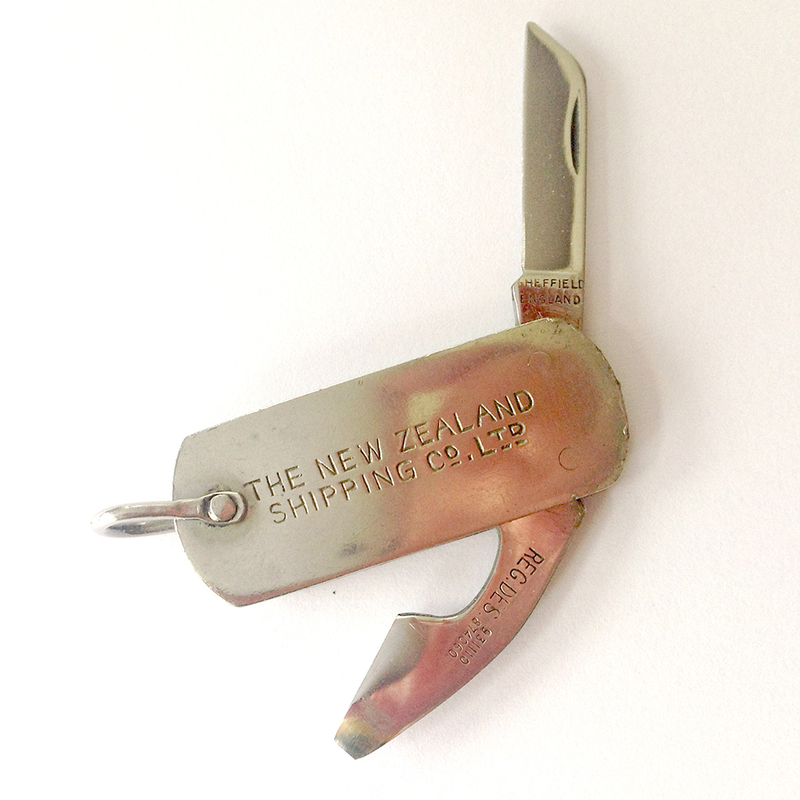 If you have any interesting NZSC collectables, or can add further information, please add a message to this blog entry. Thank you. This entry was posted in Collectables and tagged Collectable on 11/07/2016 by printerspie.